Gum disease has two distinct phases; Gingivitis and Periodontitis. Either phase can be a serious threat to your smile because when left untreated tooth loss may occur. The dental professionals at Your Downtown Dentistry have extensive experience with both phases of gum disease, including proper periodontal treatment. The initial phase of gum disease, known as gingivitis, can be mild and cause little to no discomfort. Red, swollen, possibly bleeding gums and bad breath are the obvious symptoms, and are most commonly caused by inadequate oral hygiene. The good news is that gingivitis is 100% reversible with professional treatment, and adherence to a good oral hygiene regimen. 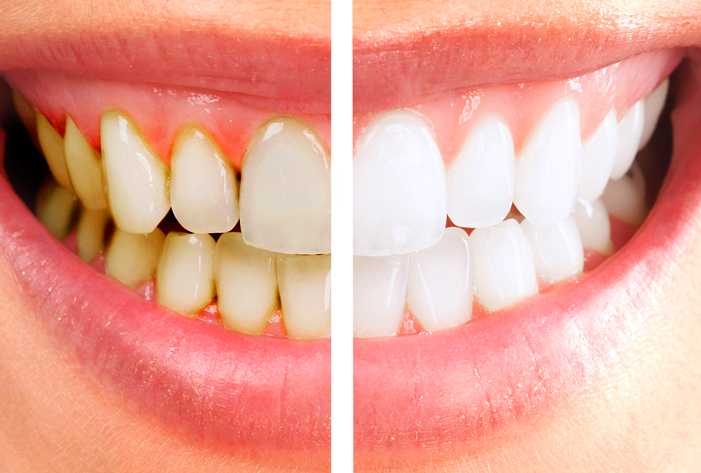 Untreated gingivitis can lead to the second phase of gum disease known as Periodontitis. This is the point at which plaque has spread below the gum line, and bacteria begin to irritate the gums through the production of toxins. These toxins will eventually create inflammation that can lead to bone and tissue loss. The gums will separate from the teeth creating pockets that deepen and cause even greater bone and tissue loss. These symptoms, while insidious, can be mild, and give the impression that things are not as bad as they truly are. The end result of untreated periodontitis is almost always tooth loss, so early diagnosis and treatment is essential. Your Downtown Dentistry tailors gum disease treatment for patients based on the type and progression of their periodontal disease. Advanced therapeutic treatment may be enough to remedy the problem, but if the disease has progressed further than a treatment known as scaling may be the best solution. This treatment involves cleaning the deposits attached to the roots of the teeth below the gum line. In order to perform this treatment properly, general anesthesia is used over the course of a number of visits, and the patient may be directed to take prescription medications such as mouthwashes and antibiotics. Oral irrigation is another effective treatment in the fight against gum disease, so devices like an electric toothbrushes may be recommended. One of the newer treatments available for periodontal disease involves using lasers to sterilize the pockets below the gum line. When used together with root planing and scaling, we can oftentimes help our patients without resorting to surgical procedures. Advanced periodontal disease, when deep pockets are found and bone loss has occurred, may prompt Dr. Behzadi at Your Downtown Dentistry to recommend periodontal surgery. If this is the case, we will provide references for a quality periodontal surgeon. For more information on Gum Treatment in the Orlando, FL area call Dr. Ali Behzadi at (407) 502-0202 today!